To make sure that your CSV export doesn’t contain these large lines of text. You have to remove the geometry (this is the data that is needed to draw the points, lines or polygons on the map). To remove this geometry column you need to use Excel. 1. 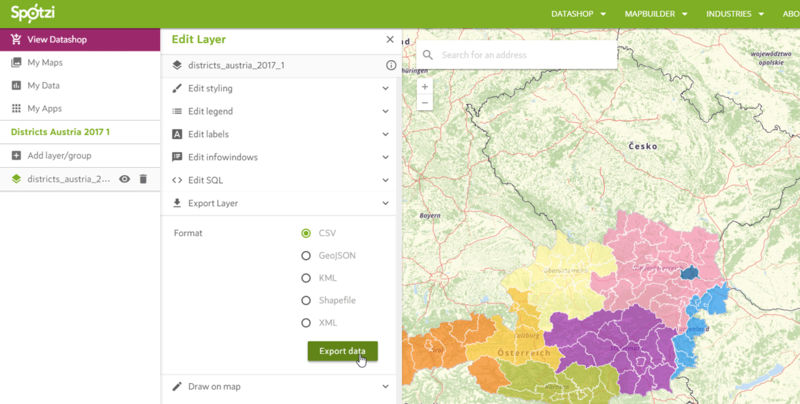 Open your map and export the data to CSV. 2. 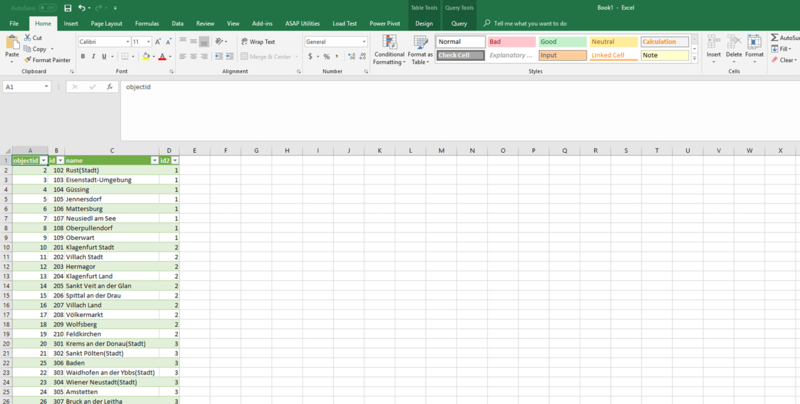 Open an empty data sheet in Excel and import your CSV by clicking DATA > From Text/CSV. 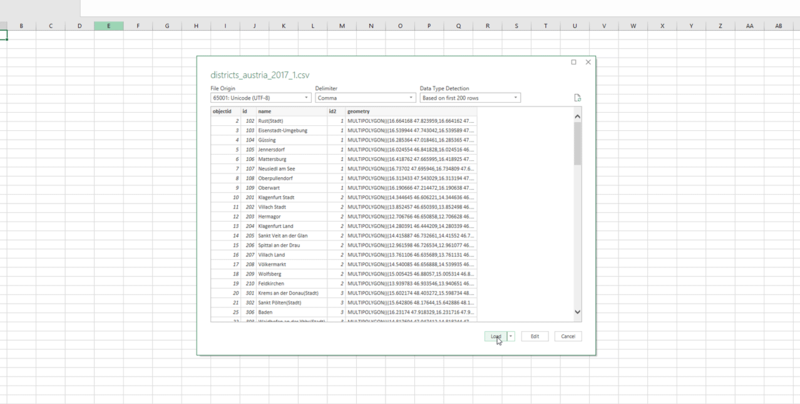 Select the CSV file you have just downloaded. 3. 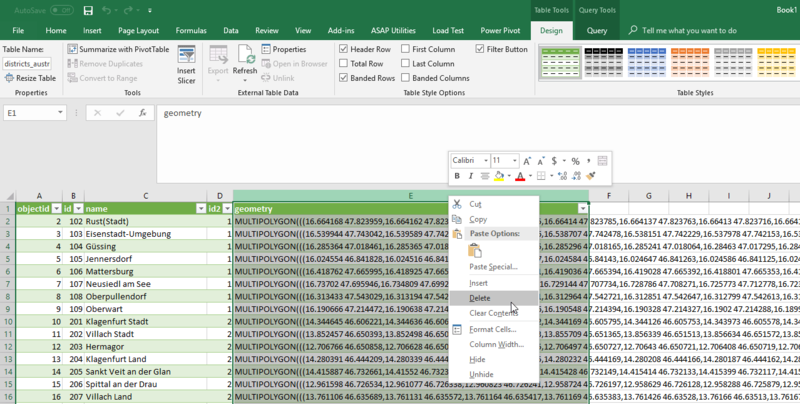 After selecting your CSV, Excel will give you a preview on how they will import your data. 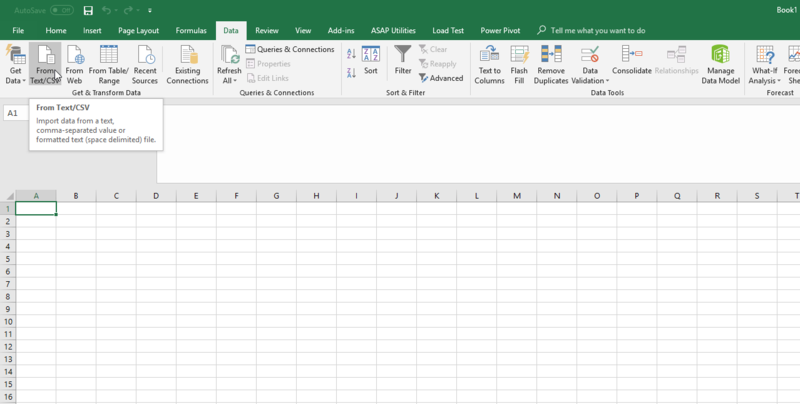 Press LOAD to confirm and wait till Excel has imported your data. Got any strange characters in your file? You might find some characters that are looking odd, like for example “VÃ¶lkermarkt” while this has to be Völkermarkt. To solve this please make sure that you change the file origin to Unicode (UTF-8) in the top left corner of the preview. 4. Now select the geometry column and delete it. 5. You have successfully deleted the geometry column from your CSV file.